Experts say that the first 2 minutes of your presentation determines whether your audience will stay with you or switch off. One of the best ways to make your audience stay with you is to plan your slide organization with a clear and simple logic and use the first two minutes of your presentation to orient them to your logic. How to organize your slide deck? What logic should you use? In this article, we will show you five simple and interesting ways to organize your slide deck. Does your presentation talk about events that happened over time? Then, use a concept based timeline to organize your information. What is a concept based timeline? 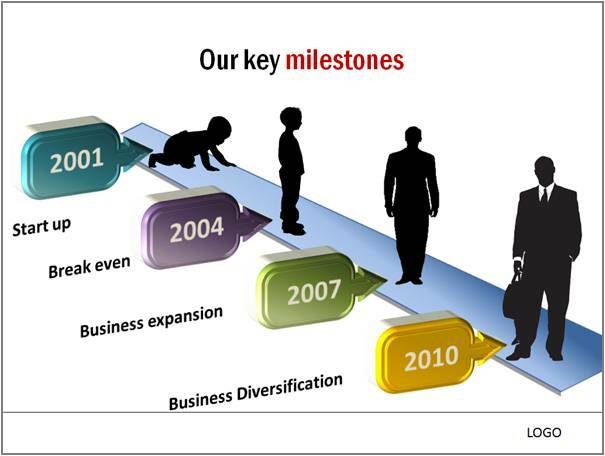 The slide not only says that the company has ‘grown’ over time; but also says that the company has ‘matured’ over time. The visuals allow you the opportunity to share the lessons you learnt along the way, the new capabilities you acquired over time etc. Your presentation quickly transforms into a powerful story. You can use this slide organization to present your company history or about how your core product developed over time. Instead of organizing your content based on subject, you can organize it based on geography. 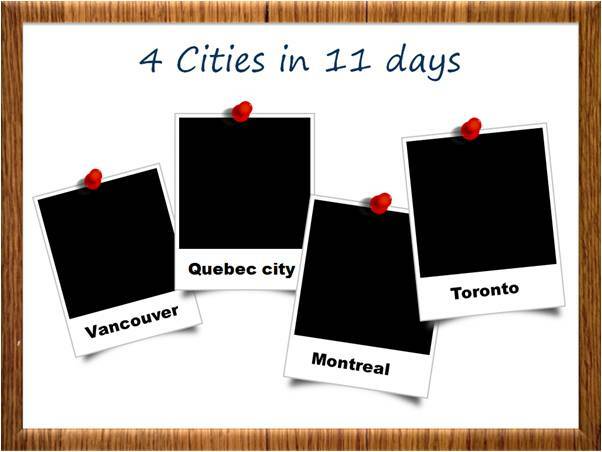 For example, if you are a travel company making a presentation on a country or a city, this type of organization works quite well. You can set the context with an agenda slide that has photos pinned on a soft board, instead of the usual boring text. Let each photo represent a section of your presentation. Use custom animation to zoom your chosen photo while making the rest of the photos fade away simultaneously. This type of organization makes your audience feel like they are on a virtual tour with you. This type of organization is especially useful for long presentations. You can use custom animation to reveal the ‘Big picture’ in incremental steps. Start with a core topic. On click, let your main topics appear. Say a few sentences on each of the main topics. On your next click expand one of the topics to reveal sub topics. 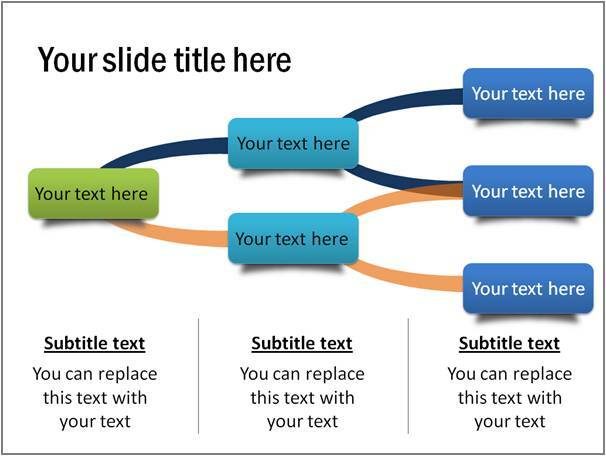 This way, you can give a quick overview of your entire presentation in minutes. This type of slide organization is useful for product demonstrations. You can start your presentation by laying down various parts of your product on a table. Pick each part, explain the functionality of the part and start building your product from the scratch right in front of the eyes of your audience. By the time you finish assembling the product, your audience gets a complete understanding of your product and its function. Use this type of organization to help your audience take a decision by the end of your presentation. Organize your entire presentation in the form of a matrix. For example, you can take five key parameters to compare your product with competition. As you tick off each parameter, your audience gets a step closer to making a decision. Thus, by organizing your slide deck with a sound logic, you can make your presentation effective. Another way to make your presentation memorable is to use meaningful diagrams. A good diagram can convey a lot in less time. If you are a business presenter, we recommend you take a look at our ‘750+ PowerPoint Charts and Diagram templates pack for CEOs’. The pack has more than 750 insightful diagrams you may not have seen elsewhere. Please take a look at some of the samples from the pack. The diagram templates are super easy to use. Just copy our diagrams to your slides and replace sample text. That is all. Your professional presentation gets ready in minutes. Please browse through our diagrams collection now and see how the pack changes the way you make business presentations forever.